STOP, park it and enjoy a summer picnic. Chronic illness stinks so bad, sometimes we just have to find a way to have some fun and take the stress out of it to the best of our ability. Park your fight with illness and have some fun with the sunshine and fun food. Chronic illness stirs up a battle inside of us to kill and destroy so that we can have our lives back. Even mighty warriors have to take a break sometimes from the intense battles so they can win the war. To win the war we have to know when to park it, to rest and revive our spirits with something that is joyful, like a summer picnic. Food can also become a constant battle because we know how vital it is to our health and walking out of illness. Yet it can become part of the problem because of the stress it creates. Finding your own balance with food calms your stress response and allows you to digest and assimilate your food so much better. A summer picnic can nourish your body with sunshine, fresh air, tasty healthy food and good company. 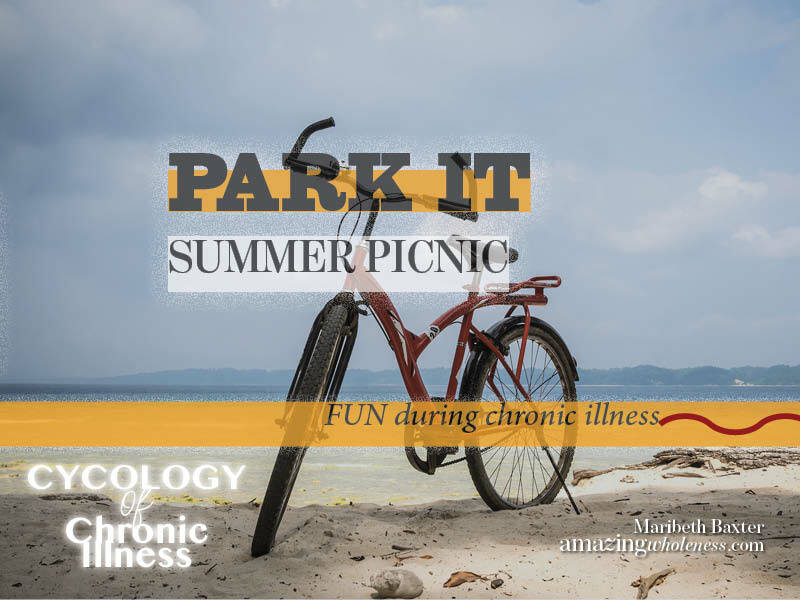 For more details, visit Summer Picnic for the Chronically Ill. Lots of food suggestions for a summer picnic that you can enjoy.